Christmas is the season for giving, and we’re here to make sure you give friends and family presents they’ll love. We have a new collection of personalised Christmas gifts that make perfect little stocking fillers. 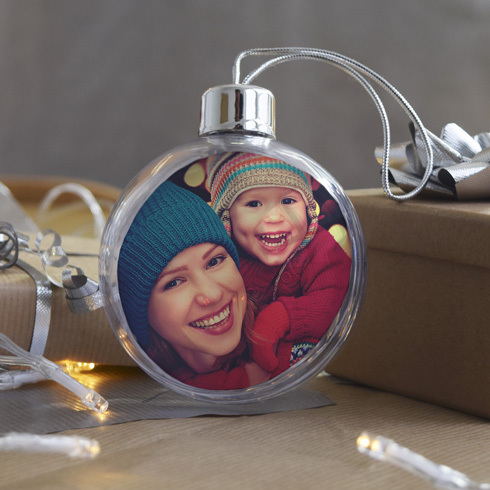 Custom photo baubles are great for adding a special touch to a Christmas tree. 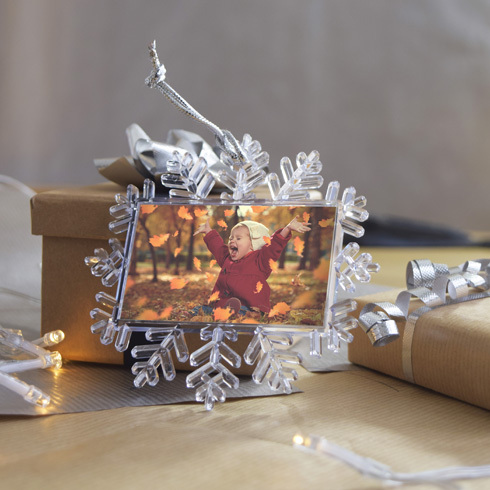 Use a family snap to personalise a decoration that looks amazing year after year. They’re priced at £8.99, so you can treat yourself as well as your loved ones. 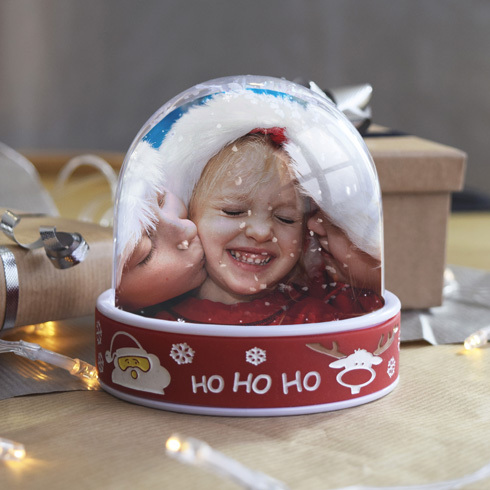 Christmas snow globes are fun decorations that complete the festive feel in your home. Upload your favourite image to create your own winter wonderland for just £10.79. Treat friends and family to premium quality snowflake decorations that have been personalised especially for them. These provide fantastic value for money at only £4.49. Make sure Santa doesn’t forget to leave you any presents by displaying a customised door hanger on Christmas Eve. Our door hangers are just £3.59, meaning these are affordable gifts to get the whole family excited for Christmas. Need some more inspiration for festive gifts? See these 5 personalised gift ideas for Christmas.